Find your wardrobe in MarlaWynne. Pieces that go together seamlessly and feel beautiful too. This top makes the most of a season where you want to look polished and positively pretty. love the way this covers all my old stuff !!! 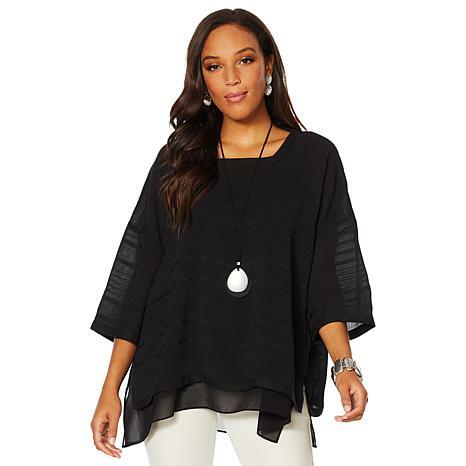 We need more tops to go over all of our chiffon layers- more things with cut outs, etc.This piece ran a little small for Marlas usual ponchos - I had to go up.Go Marla- Go Marla!